I am Allen Wang, a product designer and currently learning Swift. This project was totally inspired by Sam Lu’s 100 Days of Swift project, after read his Medium post I made a decision to put my every single day to write Swift, this’s the final code of 30 tiny Swfit projects. 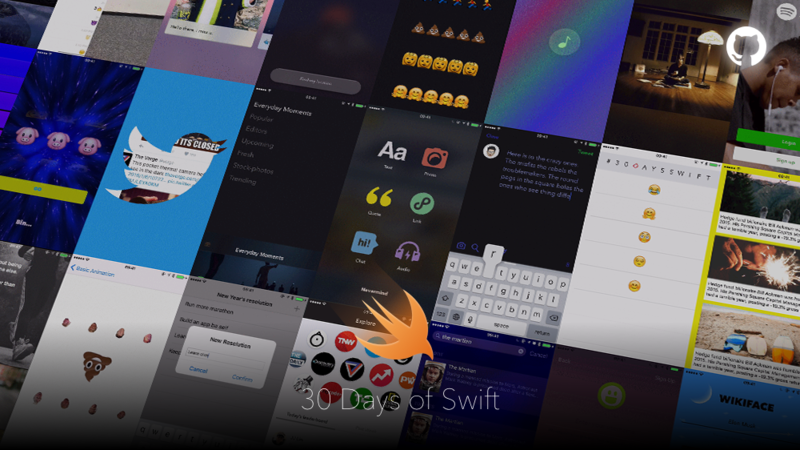 30 Days of Swift is under the MIT license.